I am pleased to announce the hiring of Terri Roberts as Program Manager for 2Synergize, LLC effective January 28, 2019. Terri and I have great sympatico and have worked together “synergistically” (pardon the pun) in our tenure with Marriott Hotels and Resorts, San Diego Tourism Authority, formerly know was the San Diego Convention and Visitors Bureau, and Destinations International. Tying business objectives and challenges to active learning experiences is Terri’s specialty. Terri prides herself in bringing sharp communication and problem solving skills, realism, and always humor to her training and project management assignments. As many know, Terri has assisted Destinations International on a contract basis for the past ten years in training and communication for their planner/DMO initiative empowerMINT.com. Most recently, she created onboarding and engagement training for Destinations International membership. In addition, she has partnered over the last ten years with Margie Sitton, Senior Vice President of Sales and Services and the San Diego Tourism Authority on the improvement of their site inspection processes and the community wide sales program San Diego Meeting Certified. Terri also brings fifteen years of hotel sales, marketing and professional development experience with four southern California Marriott Hotels, including pre-opening Director of Sales in La Jolla and Director of Training and Development at the San Diego Marriott Hotel and Marina. I am thrilled to be joining forces again with Terri, as I have great respect for her intellectual property, creativity, and integrity-both personally and professionally. Not to mention, we have shared a valued friendship for over 30 years. So good to be working with you again Terri! 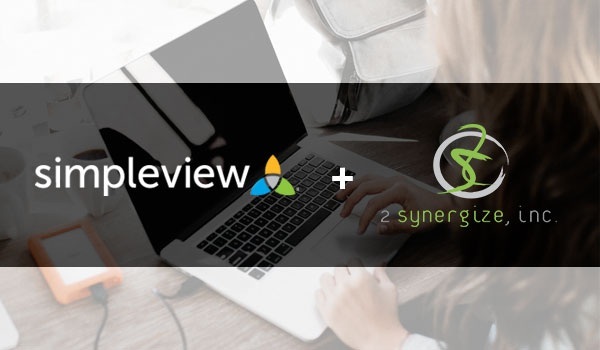 TUCSON, Ariz. (January 2019) - Simpleview – the global destination marketing industry’s leading provider of CRM, CMS, website design, digital marketing, revenue generation, and mobile technologies – has acquired 2Synergize, Inc., a consulting firm based in San Diego, California. Owned and operated by one of the industry's most respected leaders, Christine “Shimo” Shimasaki, 2Synergize specializes in helping CVBs, hotel companies and corporations serving the meetings and convention industry gain a competitive edge. Among the most recognized and respected people in the CVB industry, Shimo has more than 30 years of hotel and CVB experience, helping clients excel in customer relationships, sales strategies and data-driven decision making. Previously, Shimo spent eight years as the Director of Sales at several Marriott properties, and 16 years as EVP and Chief Strategy Officer at the San Diego CVB. In her time as a consultant, Shimo helped Destinations International launch several key products, including empowerMINT, the Economic Impact Calculator, and Overnight Room Demand Analyzer (ORDA). Shimo will be transferring her knowledge to Simpleview’s existing support teams to create new sources of consulting and data analysis. Simpleview’s team and resources, combined with Shimo’s expertise and passion for the industry, will create endless opportunities for Simpleview’s clients. Simpleview is the worldwide leading provider of CRM, CMS, website design, digital marketing, revenue generation, and mobile technologies for destination marketing organizations (DMOs). The company employs 325+ staff and works with 900+ travel, tourism and convention marketing customers on six continents, from towns of less than 30,000 to world capitals, including Los Angeles, New York and 14 more of the top 20 U.S. meetings destinations, Dubai, East Sweden, Guadalajara, Melbourne, Prague, Reykjavik and the countries of Malaysia, Norway and Scotland. For more information about Simpleview, visit www.simpleviewinc.com.